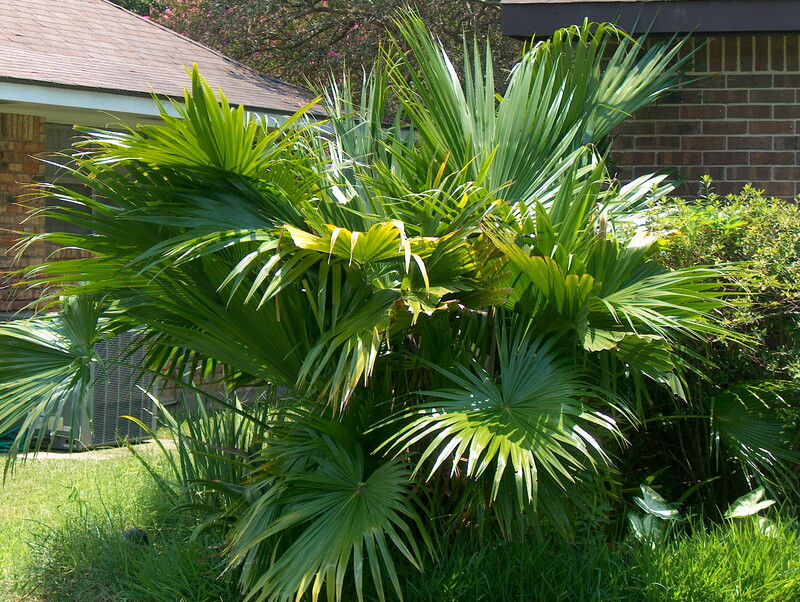 Comments: Chinese fan palms do well in full sun and are used in masses in both outdoor landscapes and interior spaces. Young plants like it better with part shade. The leaves are magnificant and may grow up to 5 feet in diameter and form a dense canopy on a solitary brown trunk. Small specimens look great in pots and planters while mature plants make a nice specimen in the landscape. Flowers are not significant but large bunches of fruit are spectacular.